Poison Ivy bigger and more abundant than ever? 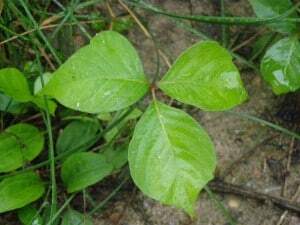 I would be interested in knowing if people have been noticing more and bigger Poison Ivy plants in recent years. This is certainly my experience. Not only do larger areas seem to be covered by this native plant, but the plants themselves seem to be much larger. In many places, they are knee-height or higher. I was speaking with a man today who says his property on Lake Katchewanooka is now covered in Poison Ivy and that going into the woods during the summer is out of the question. 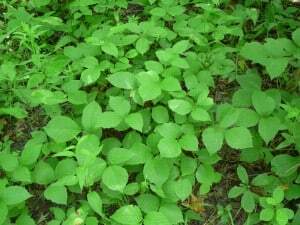 I have noticed a growing abundance of the plant, too, along the Bridgenorth Trail, Trans-Canada Trail, Northumerland Forest, etc. 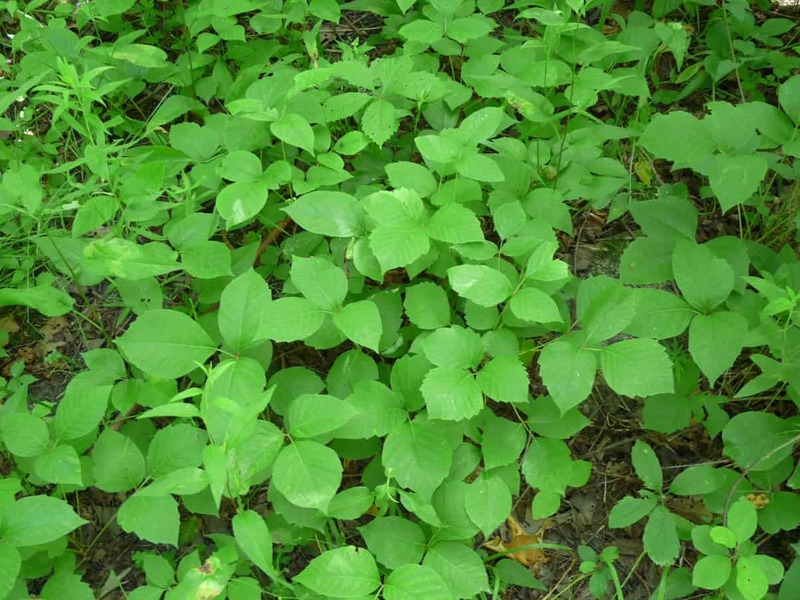 Studies have shown that Poison Ivy responds positively to increased CO2 levels in the atmosphere (we are now at a record 400 ppm) and that this may explain the more rapid growth . The oil that causes the rash is more potent than ever before, too. This article may be of interest. 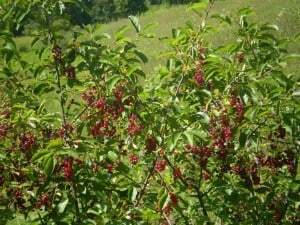 Choke Cherries. 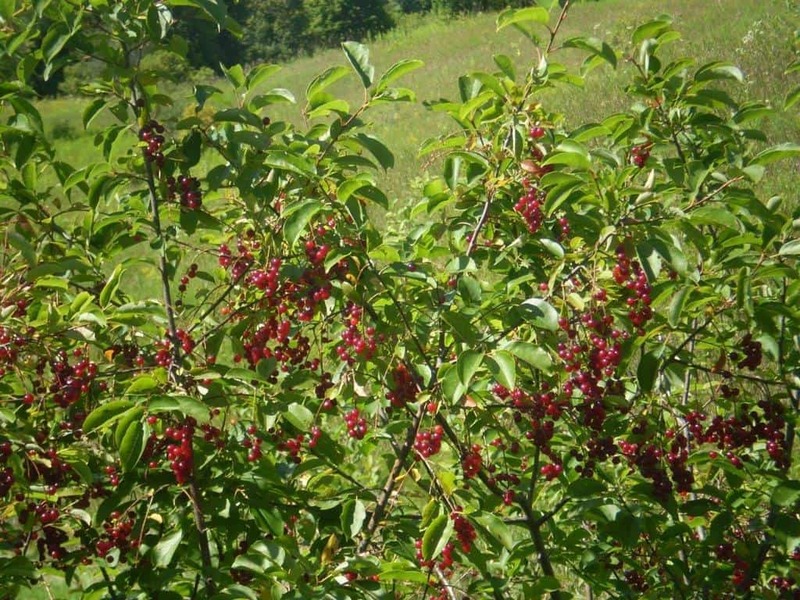 Our Choke Cherry trees have never had berries on them before, and this year they are dripping with them. 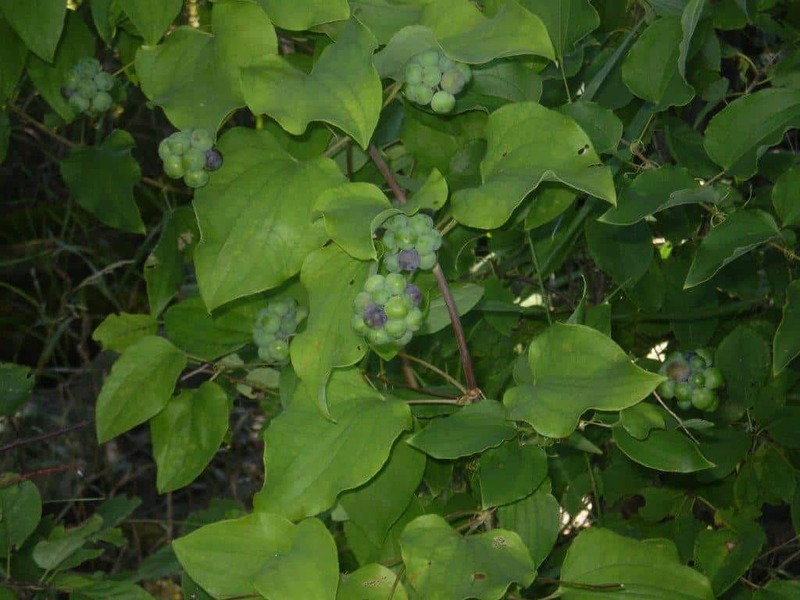 Smilax. Again we have two Smilax plants growing on the farm, far apart from each other, which is interesting. 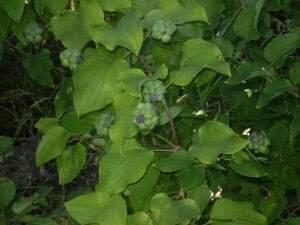 The one plant is gorgeous this year and heavy with berries which are beginning to turn blue. Also, a few Wild Turkeys, but no evidence of the usual family. No rabbits or foxes but lots of flora. Overwhelmed with grape vines ... never seen anything like the greenery on the farm this year. And overwhelmed with Poison Ivy …out of the blue. From one tiny patch to incredible. The usual spread of Dog Strangling Vine which a licensed friend sprayed for us.